Everyone loves when a band covers a song at a concert. 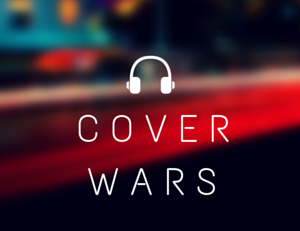 For bands, it’s hard to find the right cover, it has to be a song everyone knows and loves. What more perfect song to cover then the oh so popular ‘What Makes You Beautiful” by One Direction? If you’re thinking “Hey that’s probably a great song to cover at my next concert,” then you would definitely not be alone! Hollywood Ending and Before You Exit, who were recently together on tour with Allstar Weekend, both have “What Makes You Beautiful” covers. Hollywood Ending chose to perform their cover live during the concert, while both bands played their amazing acoustic covers during private and more intimate performances. Here’s where we need your help. Watch both videos of the bands performing “What Makes You Beautiful”. Then take the poll at the bottom, and tell us whose version you like better! Leave a comment for the reason why you picked the band that you did! The band with the most votes will be May’s band of the month! Just a note: When you vote for a band you are not voting for which band you like better, you are voting for the cover you like more! We love both bands equally, so make sure you vote and comment to show your support! Follow @honestreviewcnr on twitter to see the results of this poll! Voting ends this Sunday, April 15th! Keep a close eye out on our site! Our next cover wars will be of the song ‘Call Me Maybe’ by Carly Rae Jepsen!